Some Prague residents are privileged enough to have their villa standing right on the fortifications of a castle. 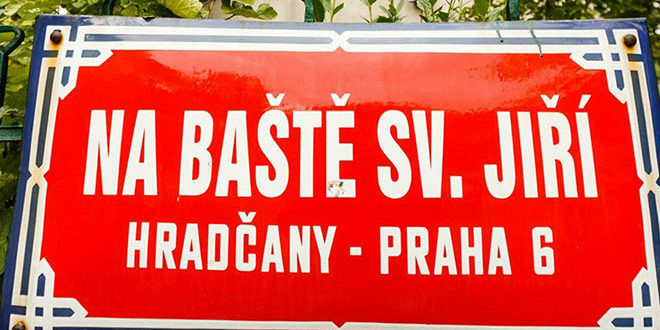 They are the lucky people whose address states Na baště sv. Jiří (On the bastion of St George) or Na baště sv. Ludmily (On the bastion of St Ludmila). The unique urban unit was created before World War I in the city part of Hradčany, in the area of the Písek Gate. “What makes this residential district unique is the fact that the space of the baroque fortification of the Royal Capital City of Prague was exceptionally well utilized. The fortification was built between 1653 and 1730,” explained Petr Ryska on the Praha Neznámá portal. The fortification was strengthened by twenty bastions named after holy patrons. On the left bank of Vltava, the baroque fortification was called Mariánské hradby after the chapel of the Virgin Mary in the fortification, which stood by the Písek Gate. After the closing of the Prague fortress after the lost Austro-Prussian war in 1866, the former baroque fortification was kept outside of the military context. The fortification land was bought out piece by piece and the fortifications were demolished, but there are partial remains of them in the park area. In 1901, Prague bought the land surrounding the Písek Gate from the military, with the intention of using part of it to build residential homes – on the bastions of St George, St Ludmila, St Thomas and St Mary Magdalene. The ditches by the bastions were covered and what we know today as the park of Charlotta G. Masaryková (who resided on the bastions) was built. The upper parts of the bastions were preserved and so the villas are straight on the fortification. The symbol of this area is the Písek Gate, which is lucky to have survived the demolition of the fortification, because a part of the contract of the City of Prague with the military was tearing the gate down. However, the then advocates for “Prague antiques” and old Prague stood against it with petitions for the city council and the Federal Monuments Office in Vienna, and managed to prevent the demolition of the gate in 1903. “We are very grateful for that, because the Písek Gate is today the only preserved baroque fortification gate outside of Vyšehrad and it is also one of the most significant reminders of the fortification. The name Písek was given to it not because of the city of Písek in Southern Bohemia, but because of an ancient settlement Na Písku in Klárov,” explained Petr Ryska. From 1828, the first horse rail in Prague began its regular path there, going to the Lánský forest for wood. It was built by Giovani Batista Alliprandi according to a design by František Vogot from 1721. Currently, the Písek Gate serves as the cultural and social center of Prague 6. Around the year 2000, it was reconstructed, and has had a gallery and a café since. Wedding ceremonies are held there as well. The Residential District starts in the street U Písecké brány, built into the remains of the former fortification, which were saved by the architects Vladimír Zákrejsa and Vlastislav Hofman. The designs are of English-style houses and villas. Architects Jan Kotěra, Josef Gočár, Emil Králíček and sculptor František Bílek took part in the building of the area between 1910 and 1914. The houses were built mostly in the style of geometric modernity, which was very popular then, but there are also parts in the style of cubism, Art Noveau, and symbolism. A representative of cubism is the double house of Josef Gočár in the Tychonova street. 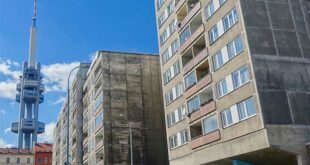 Behind the part in the street Na Valech, one can see many apartment houses in the style of geometric modernist, which were designed by Alois Dryák and many others between 1910 and 1938. 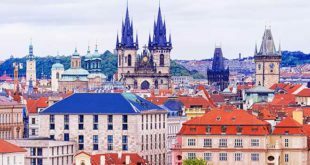 “Nowadays, especially after the traffic has gone down in the street Na Valech, it is one of the most luxurious housing areas in Prague. Also, it has great accessibility – the metro station Hradčanská is right around the corner,” said Ryska. The double villa with a beautiful view of Letenské sady was designed by architect Rudolf Stockar, who had it built for him and his brother between 1910 and 1911. Stockar was the initiator of the building of the residential area on the bastions. The villa itself takes up all the area of the bastion. Is has a great view of the bridges on Vltava and Old Prague. The first Czechoslovakian Prime Minister, Karel Kramář, bought the building parcel (the whole bastion) in 1911 and had a grandiose villa built for his wife Naděžda Nikolajevna (see article The Villa of Kramář Is Not for Everyone. It Is Full of Extravagant Pieces of the Russian owner.). Today, the villa is the official residence of Czech PMs. Between 1910 and 1911, a mystic, sculptor, and graphic artist, František Bílek, designed a house and had it built with a studio that reflected his deep mystic mind. It is one of the two buildings in Prague built in the style of symbolism and there are plenty of symbols, some of them quite complicated. The whole exterior of the house is supposed to represent the summer (see article Bílek’s villa is a jewel. Look what the famous freak created). Right next to Bílek’s villa is a house which symbolizes the autumn. It was designed in 1910 by František Bílek for his old friend, supporter of garden towns and one of the initiators of the building of the residential area on the bastions, Doctor Procházka. The villa was, just like its “summer” neighbor, finished in the following year, as we can see in a blind Romanesque window, which points symbolically to early Christianity.